Designed and written by Heather Givans of Crimson Tate, this pattern is highly customizable and realistic. Use it to make a storied and much loved keepsake in any of three sizes. Revisit the stories of characters that captured your heart and the places you've traveled while lost in your favorite books. 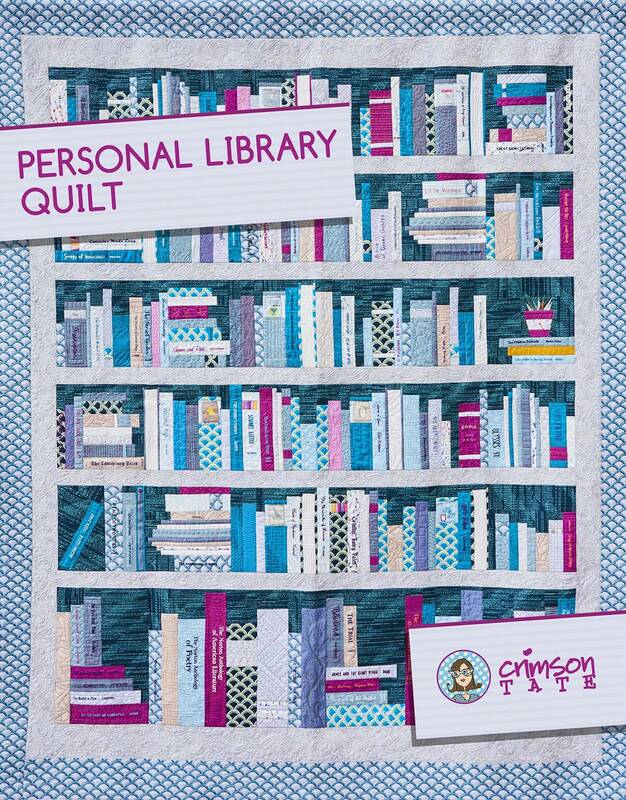 Personal Library Quilt is a must make for all book lovers. The pattern is highly customizable and realistic. With it, you'll be able to make a storied and much loved keepsake. 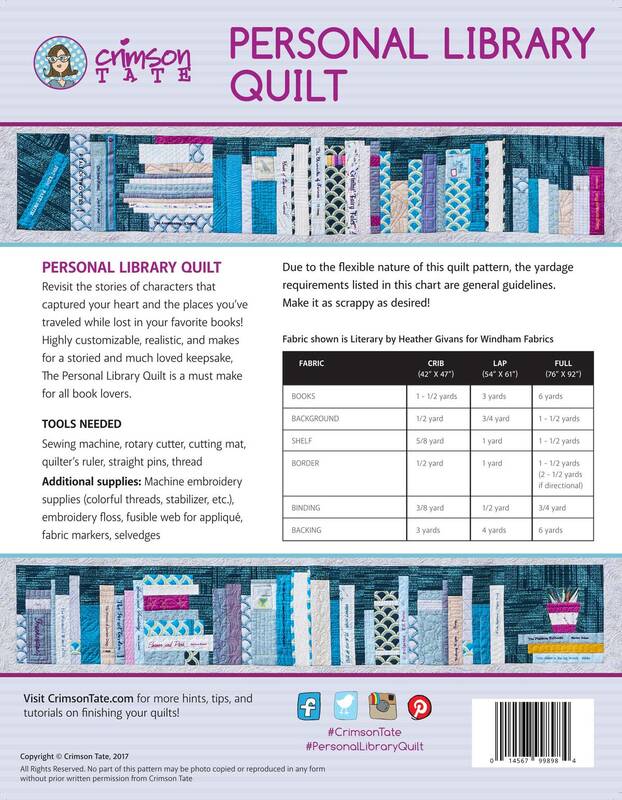 The pattern includes instructions, illustrations, and suggestions for customizing bookshelves specifically for recipient. It includes quilt layouts for crib-, lap-, and full-sized quilts.